One of the latest trends in the Canadian housing market is the "Micro-home". If you haven't already guessed it, a Micro-home is a very small house, generally under 500 square feet. With such restraint living quarters, are Canadians embracing the Micro-home concept? 1- Sustainability > Living on a large lot in a big house is not considered sustainable. With increased populations, long commute times, and rising energy prices, many Canadians prefer more sustainable options. 2- Property Values > With property values soaring, many Canadians can no longer afford the large suburban house. 3- Space > We don't necessarily need as much space as we believed necessary or optimal. 4- Family Size > The average Canadian family size has decreased since the Baby Boom, rendering the need for larger homes unnecessary. As a result, most people are downsizing, or choosing residences which are more modest in size. Nelson Tiny Homes - a locally-owned and sustainably-produced company in British Columbia - builds custom tiny houses. Not just a place to call home - but also a work of art - they consider the micro-home market an evolving socio-political movement. Tailored to each buyer, these command are around $40,000 for 120 square feet. As shown above, space in a Micro-home has to be utilized very efficiently. The footprint of the structure generally accommodates an open plan living space and a washroom, while a stair or ladder accesses a loft sleeping area(s) tucked under the pitched roof. Many Micro-homes are on wheels - both for the ease of mobility and to bypass being taxed as a permanent structures. Micro-home companies don't have to acquire a housing certificate. Another firm is Nomad Micro-homes. 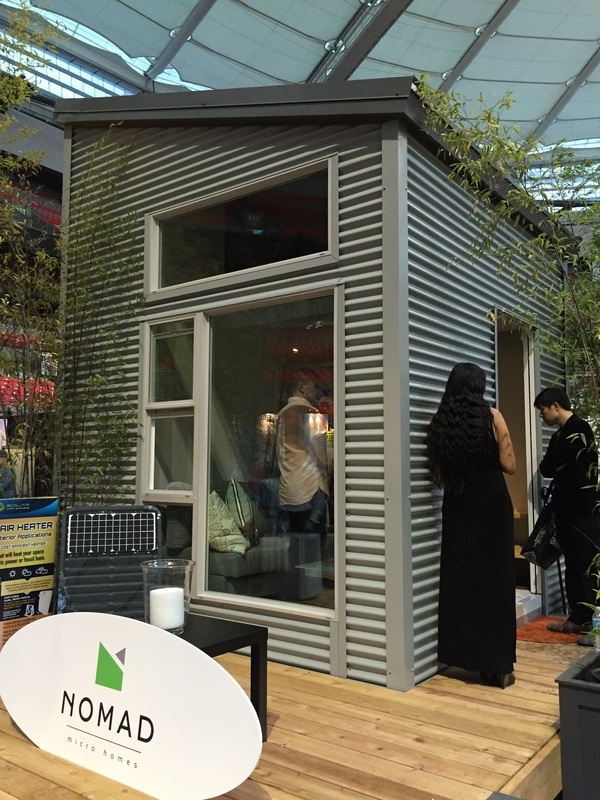 This Vancouver based company offers 10'x10' Micro-homes for under $30,000. The goal of Nomad Micro-homes is to produce an efficient comfortable space, with minimal impact on the environment. In order to utilize the footprint efficiently, Nomad Micro-homes creatively integrate space saving solutions and multiple uses, like using bench seating to create storage. 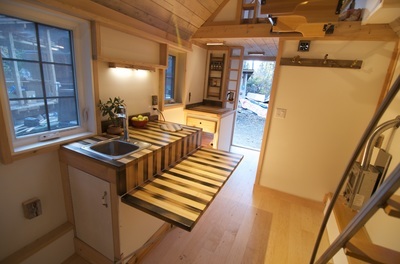 Photo Courtesy of Nomad Micro-homes. 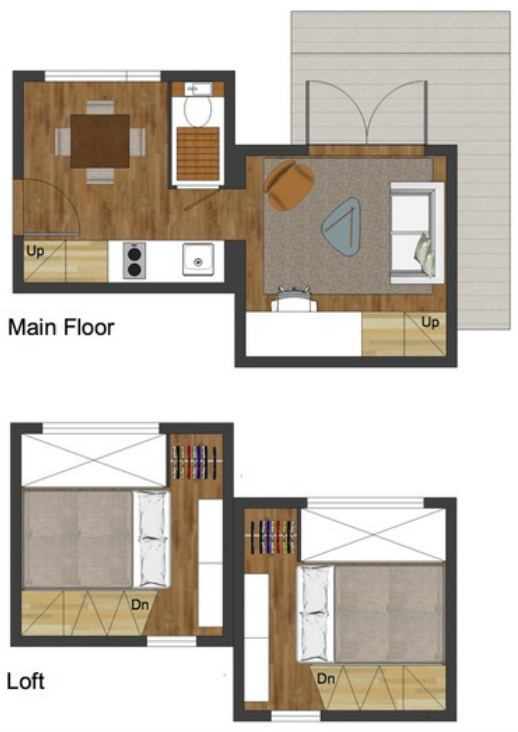 Shown above is one of the floor plans for a Nomad Micro-home. This model is actually one of their larger plans as it combines two of their standard size Micro-homes together to create this 2 bedroom layout. The following list shows some of the mechanical and electrical aspects of a Nomad Micro-home. What is listed comes standard, however there are many options and add-ons. Photo Courtesy of Tiny Living Ltd.
Another company is Tiny Living Ltd based out of Delta, B.C.. Each Tiny Living Inc. home is equipped with a full kitchen that includes a fridge and stove top. The bathroom has a full sized shower and an environmentally-friendly decomposing toilet! All the amenities of a regular sized home are included, but for a fraction of the price. The design above costs around $35,000 and includes: 10 feet high ceilings, a fold down wall hung table, French doors, a 28”x30” closet, a full sized 30"x30" shower unit, a wall mounted water heater storage unit, a RV type supply water hook-up and grey water hook-up. 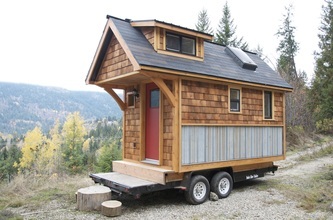 For those curious about the legal status of owning a Micro-home: in B.C. 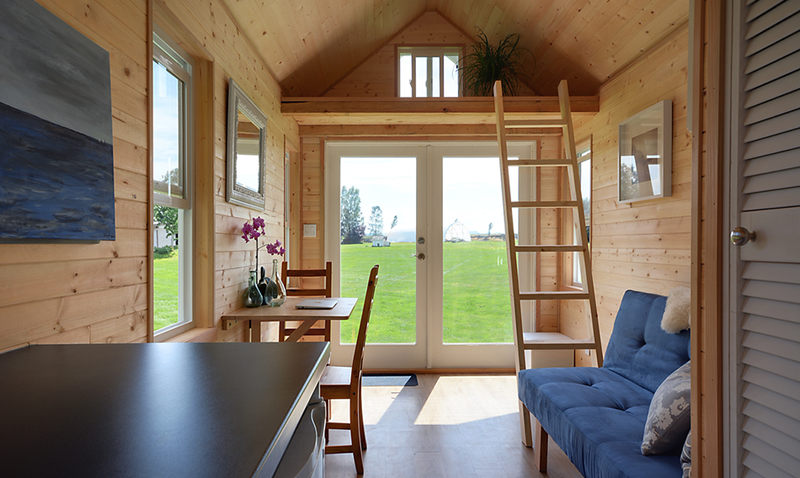 a Micro-home can be located wherever accessory buildings are allowed by local zoning rules. 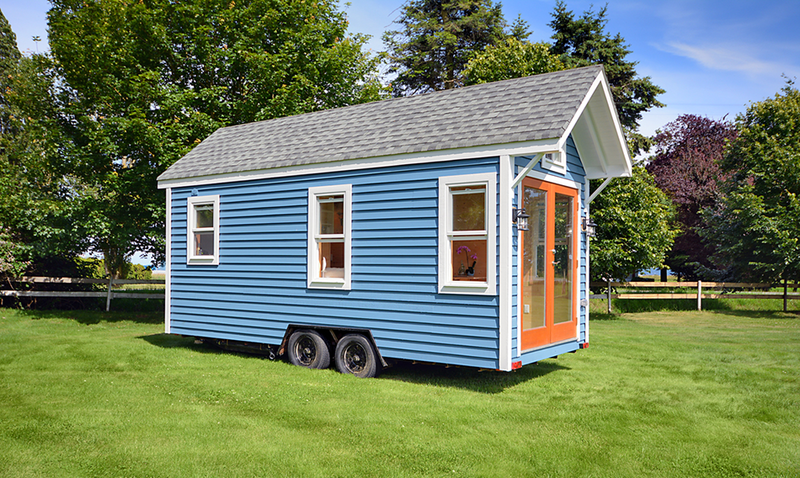 In addition, many Micro-homes are built onto a metal trailer with hitch. This allows for many to be certified as a park model trailer, therefore they can be located wherever park model trailers are allowed. Since local zoning regulations and bylaws vary, it is recommended that you consult the local authorities where you would like to site your building. So are Canadians ready to live in Micro-homes? I think this trend is here to stay!